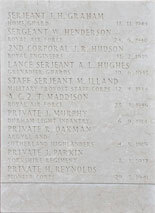 Horden (Thorpe Road) Cemetery, Co. Durham, has a commemorative screen wall. On this are listed 31 burials in Horden (St. Mary) Church Cemetery. 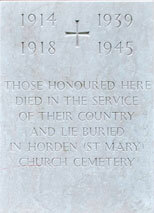 The burials are from both the First and Second World Wars. 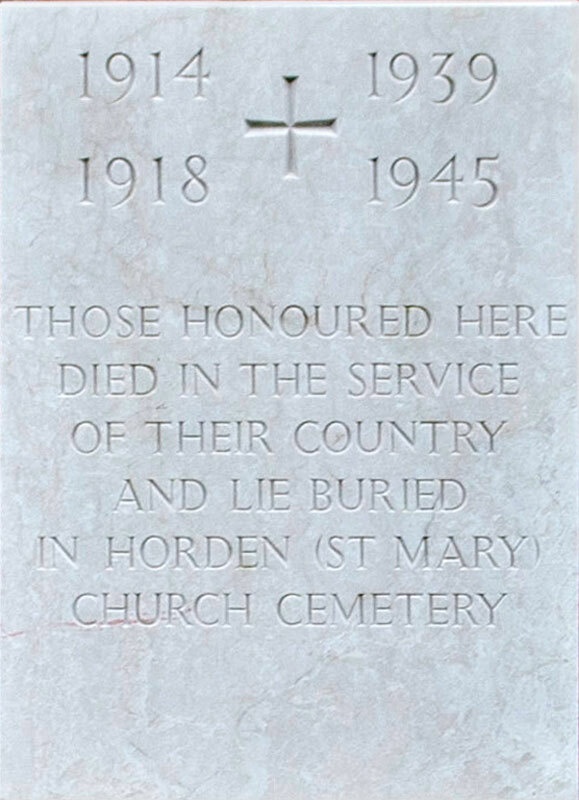 No mention can be found of the St. Mary's Churchyard in Horden, so it must be assumed that this is no longer in use. 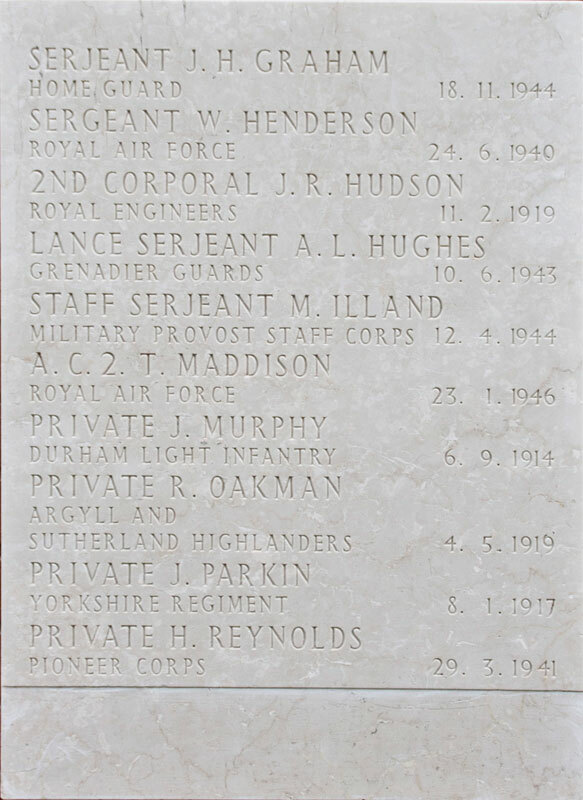 Amongst the names commemorated is one for a soldier of the Yorkshire Regiment. 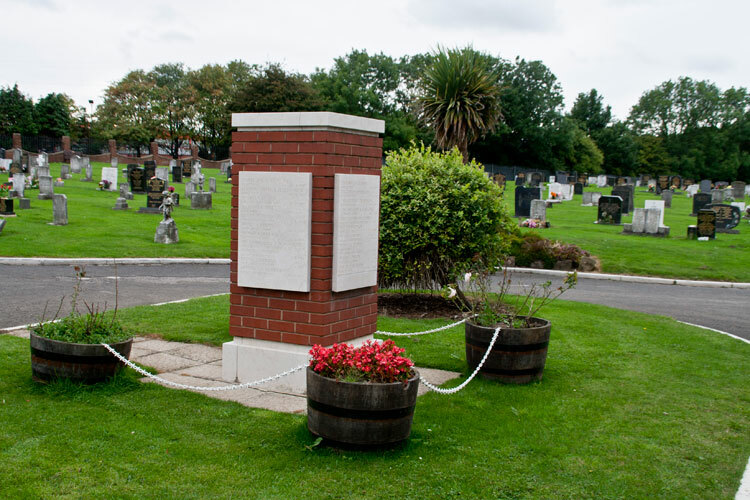 The Commemorative Screen Wall in Horden (Thorpe Road) Cemetery. Private Joseph Parkin, 14611. The Yorkshire Regiment. 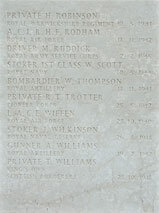 Died at home 8 January 1917. Aged 26. 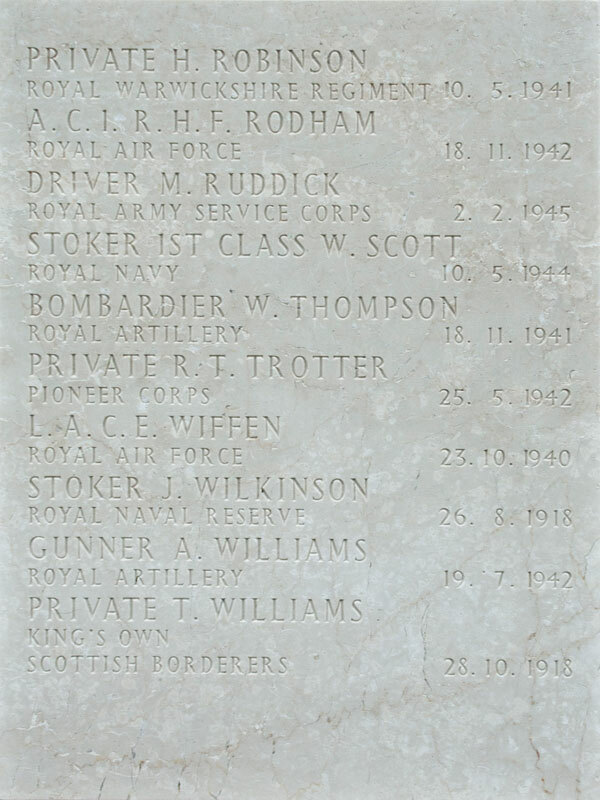 Commemorated HORDEN (THORPE ROAD) CEMETERY. (Buried in Horden (St. Mary) Church Cemetery). Born West Cornforth, Enlisted Sunderland. Miner. Born Q4 1890 approx. Wife = Margaret Alice. Lived at 20 Fifth Street, Horden. Chidren = Mary Jane and Joseph Arthur. Enlisted 1 September 1914. 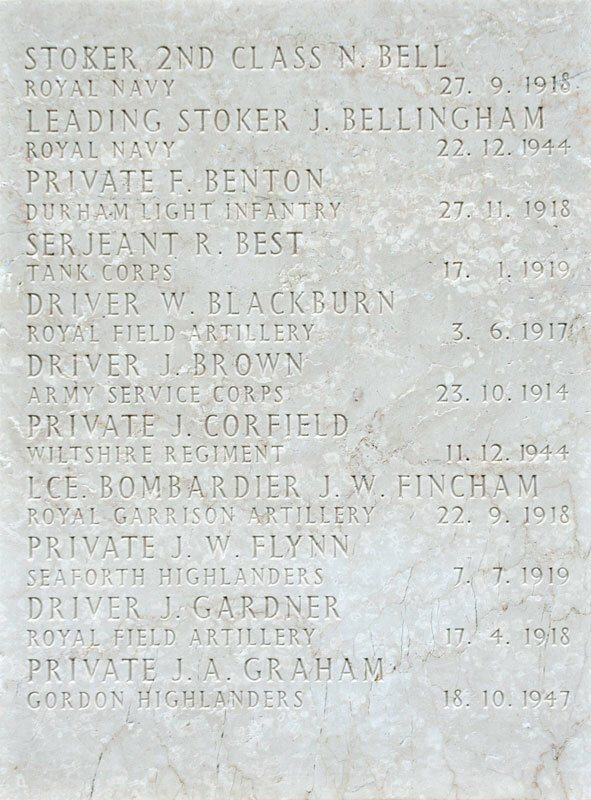 Served in France 9 September 1915 to 10 May 1916. Discharged as unfit due to tubercular lung, 7 June 1916. 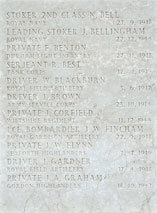 Died 8 January 1917. The four faces on the Screen Wall are shown below. Select one of the small sized images for a larger sized image to open in a new window. The larger sized images are suitable for transcription.